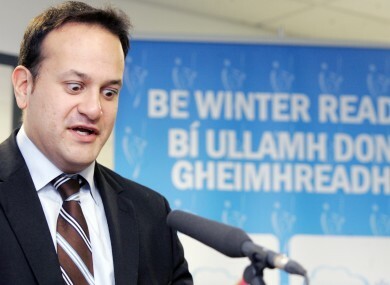 TRANSPORT MINISTER LEO Varadkar will be concentrating on just one mode of transport tonight – his own legs. He and fellow Fine Gael TD Eoghan Murphy are joining thousands of runners taking part in the Run for Mark in the Dark tonight in aid of the Mark Pollock Trust. The run takes place at several locations around the country and will raise funds to support the trust which is named after blind athlete and motivational speaker Mark Pollock. Mark lost his sight at the age of 22 but went on to win Commonwealth medals at rowing, become the first blind Irishman to race to the South Pole and took part in many other tests of athletic endurance. However, an accidental fall last summer left Mark paralysed from the waist down. After battling life-threatening infections and injuries, he is now investigating aggressive physiotherapy methods in the hope of one day walking again. Email “Leo Varadkar and Eoghan Murphy go on the run (for charity)”. Feedback on “Leo Varadkar and Eoghan Murphy go on the run (for charity)”.